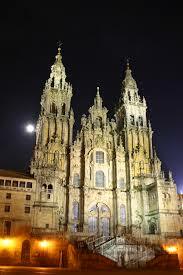 If you have decided to organise a tour through the province of A Coruña you can experience an unforgettable experience on the basis of its capital, Santiago de Compostela, the best starting point to discover the beautiful province. Rent a car in Santiago is a good solution for transferring from the city to the coast in 30 minutes. Las Rías Baixas, you’ll find picturesque medieval villages of fishermen, such as Noia and Muros. You can visit the lighthouses that are along the Costa da Morte, a car rental will provide you travel to what ancients considered the end of the world: Finisterra lighthouse. The gastronomy of Galicia offers abundant wonders giving land, excellent products field, unique taste and the best of the sea: barnacles are the seafood that you can not enjoy in this amazing Spanish region. Villages as Camariñas, Corme and Corcubión will help you to discover the magic of the Galician fishing villages, it is easy to reach them through a car hire Santiago de Compostela. Beautiful cities such as Betanzos, Ferrol, A Coruña and Ribadeo, Pontedeume are places which are at your fingertips along Las Rías Altas, on the northern coast of Galicia. The car rental in Santiago will be a good solution for your trip.